After decades of almost breakneck speed in town and island planning, Singaporeans have begun looking at certain buildings with nostalgia and a growing belief that a city without history is one without direction and soul. A current plaintive cry to preserve the 38-year-old Pearl Bank condominium is not the first cry for its preservation as an iconic landmark. 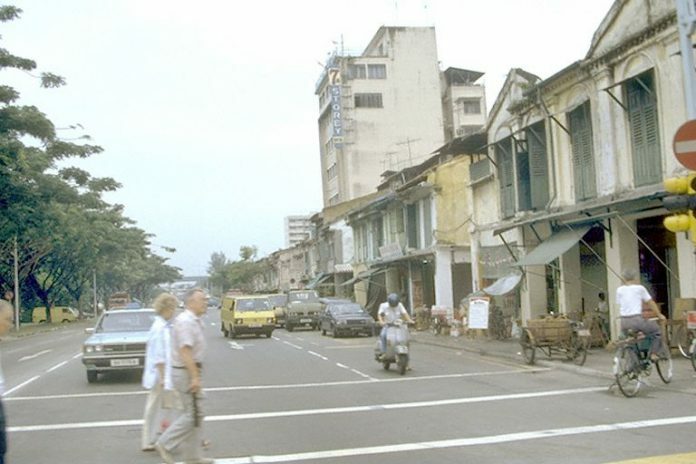 The distinctive building’s value is that it represented a certain phase in post-independent Singapore’s architectural development, bridging a gap between the older style colonial and pre-colonial buildings and the thousand-flowers-bloom period of recent years where every conceivable structure – residential or commercial – and design have been allowed to spring up. Yes, we all grew up with Pearl Bank, the Toa Payoh VIP Block 53, Golden Mile (what a name! ), Lucky Plaza (perhaps Far East Organization’s first major shopping centre in the world), Ridgewood condo in Ulu Pandan, Katong Shopping Centre, Tekka and Beauty World Shopping Centre. These are names which are so much a part of the Singapore identity. We also grew up with the National Theatre, Adelphi Building and the old National Library. None of these three is around today. And the younger generations saw an even more impressive city emerge. It could have been easy to have got carried away in our attempt to build a global city. To the planners’ immense credit, we have a skyline and a compact city waterfront which are a quantum jump from the old Singapore but with enough left intact to remind all that we are a living and not robotic community. Whole areas such as Arab Street, Chinatown, Tanjong Pagar and Joo Chiat have been left alone – at least for a while. Our heritage people have even identified certain roads or driveways for preservation. Obvious ones are Cluny Road, with its overhanging foliage and another similar swords of honour tree-lined part of Old Upper Thomson Road. One important type of landmark which needs to be kept in mind is what |I call the marker or reference junction. For all the changes around it – MRT stations, SMU, new Rendezvous Hotel , SOTA – Dhoby Ghaut remains familiar to many Singaporeans. When you are there, you know where you are exactly because the historic feel of the place has not been overwhelmed by development. Cathay Building, YMCA, the churches and the road curves are still there. At the other end of Stamford Road and Bras Basah Road, two historic junctions have been enhanced and not swept aside by short-sighted planning. The museums, Capitol, Raffles Hotel are part of the country’s heritage. Preserving them as buildings and as part of the wider heritage district encompassing the city’s inner core is mandatory. The junction of Rochor Canal Road/Selegie Road/Serangoon Road where Tekka and a quaint rounded building housing the Colonial Bar comforts motorists that this is the “Rex” area as they pass through. Some of the other junctions/roundabouts which should be preserved include Guillemard Road/Nicol Highway, Bedok Road Bend outside the army camps and Thomson Road/Lornie Road junction. Respect the historic momentum. We are all part of it.